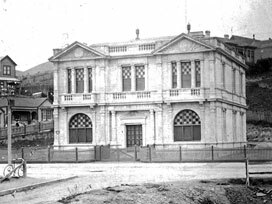 The idea of establishing a branch library in Newtown was supported by many in the community during the latter part of the 19th century and on 7th May 1902, the Newtown Public Library was opened. 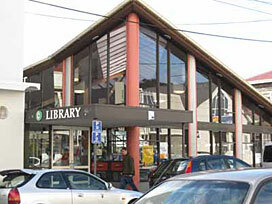 It was the first branch library in New Zealand and the first to be arranged under the Dewey Decimal Classification system. The library was originally situated directly opposite the main entrance to Wellington Hospital and contained a public hall and a lecture hall seating up to 200 as well as the lending library. By the 1940s, the building was starting to show its age. Rather than refurbishing and strengthening the old building, the council decided to build a new library. On 22 October 1957 a new library in Constable Street was opened. The move to Constable Street proved beneficial, with increased usage because of the new location near the busy shopping area. However, by 1989, the library was becoming overcrowded and the council decided to build a completely new library on two residential sites next door. 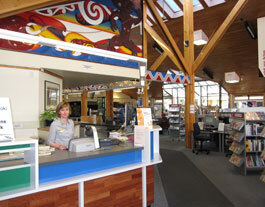 The new library was officially opened on Saturday the 24th November 1990 with a tapu-lifting ceremony. This light-filled and spacious library is a valuable community resource that is well-used by the residents of Newtown and surrounding areas. 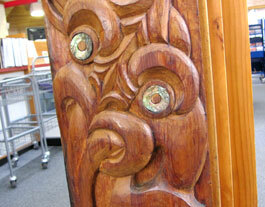 Two poupou, carved from a turn-of-the century totara pile excavated from the site of the Wellington Civic Centre, decorate the main support pillars. The story of the separation of Ranginui (the sky) & Papa-tu-a-nuku (the earth) is told in the poupou and the kowhaiwhai (rafter patterns). A multi-media mural depicts the legend of Maui fishing up Aotearoa. The poupou, kowhaiwhai and mural were produced by Manu Kopere, based in Plimmerton. The artists were Wiremu Grace, Tippy Bevan, Tana Salzmann and Kiriwai Tapuke. Newtown is the most multi-cultural community in Wellington City. Its inhabitants include many immigrants from Africa, Eastern Europe, the Middle East, Asia and Pacific region who, along with the tangata whenua and Europeans, make this community a vibrant one. As well as a large population of children Newtown also has a large number of elderly citizens. Its closeness to the city and excellent public transport make it a very popular area. Major facilities include : Wellington Hospital, Wellington Zoo and Newtown Park Stadium. More information about the history of Newtown, and neighbouring Berhampore, is available on our local history page. Our staff reflect the community they serve, with diverse languages and cultures represented including Samoan and Chinese. We also have a wide range of interests including film, music, the visual arts, swimming, yoga and gardening. Apart from regular library services such as answering enquiries and issuing and returning library items, the library hosts popular preschool storytimes and holiday activities - for more details of these see our What's On page. free wireless internet. To connect, you'll need a wifi capable device. Most smartphones, tablets and laptops are able to connect to the new network (look for 'cbdfree' in your list of available wifi networks on your device). If you experience any issues connecting, more information is available at www.cbdfree.co.nz. Please note: printing facilities from wifi are not available. free access to selected sites including reference websites and newspapers online, plus New Zealand government and organisation websites. general internet access (Google, email) is available via the paid internet service'. Minimum access time is 15 minutes ($1.50), with 30, 45, and 60 minute time codes also available for purchase. If you do not use all of your time during a session at the computer, you can use up the remaining minutes at any WCL branch within the code's validity (usually 30 days). fax, b&w self-service photocopying and printing from the internet or flash drives are available. Photocopies and printouts are 20c per A4 sheet. Customers can also buy Wellington City Council rubbish bags, recycling bins and bags and daily or monthly parking coupons. Keys for access to Newtown Park Track can also be purchased here. An ESOL (English as a second language) - books and kits for learning English from basic to advanced level. A Maori collection of books on Maori history, language and culture. A Chinese Language collection of fiction and non-fiction books. Our very popular Adult Graphic Novel collection. 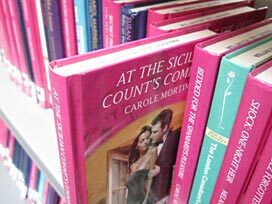 A large collection of Mills & Boon romance novels. Collections of children's books written in Maori, Samoan, Fijian, Tokelauan, Somali, Arabic, Gujarati, Hindi, Vietnamese, Spanish, German, French, Italian, Tongan, Niuean, and Chinese. Foreign language magazines in Arabic, Chinese and Hindi. Chinese, Samoan, Tongan and Cook Island newspapers. We also have a local history file about the suburb of Newtown. The Māori branch name for Newtown is Omaroro (or Omārōrō). Omārōrō cultivation plot was located on the steeply sloping ground (perhaps terraced) on the spur of the Tūrangarere hills at Brooklyn, facing the north-east corner of the the Omārōrō land block. Find out more on our Māori branch names page.